Automakers for the past decade have been in the habit of lying about their real intentions. Much like when Hyundai said the Veracruz was a Lexus RX competitor, we have many instances of automakers saying a vehicle is one thing just to make sure it isn’t compared to its real rival. When it comes to Cadillac, the ambition is not to contend with the German Trio (those three are their own segment, honestly.) No, the goal is to be a near exotic brand, to be that 4-door Porsche competitor that only the Maserati badge (rarely the products) could be. For over a century Cadillac has been GM’s super brand, the top of the totem pole, the trail blazer (bad choice of terms.) So if Cadillac is stuck on the third rung of the ladder then no other GM brands can climb any further. They can’t, well aren’t supposed to, occupy the same rung without a Corvette badge! This has been killing poor Buick! Heck, all of Buick’s design cues REQUIRE the vehicles to be RWD in order to make any sense!! Seriously, they have cues similar to Maserati and Bentley but are trying to make them work on a Malibu! It’s amazing the new cars are looking so dang good!! Unfortunately, GM has a habit of keeping way too many brands below Cadillac. It’s risky because whenever Caddy starts to falter (and Chevy starts to pick up because Camaro and Corvette) all the brands in the middle get sandwiched together and spill out of GM’s hands. But once again we are entering into another high hope era. Cadillac is really putting down more effort than I think GM is used to seeing. I’m talking well outside of the typical business case known as, “Ford did WHAT?!! !” Cadillac is physically separating the brand from the rest of the GM crop as far as business goes and it’s looking as if the products will follow the same path. The performance and handling are already ahead of the class. They are doing more tech than any of us are comfortable with, plus they are hitting the wow factor with motorized cup holder covers, camera mirrors, and some pretty sweet signature designs. All that’s really missing is finesse and getting the engineering to turn into craftsmanship. That’s the Porsche difference. *We look at where Hyundai and Kia have moved to in the last 15 years but I’d argue Cadillac had/has an equally expansive journey. Everyone cites how GMC sales about 1 in 4 vehicles in Denali trim but that just tells you that buyers feel they have no other option but to buy fully loaded just to get the car they want with the content and build they EXPECT from the brand! If 25% of S-Classes were in the Maybach trim then you’d know it’s pretty much middle of the line for how high that model could go. 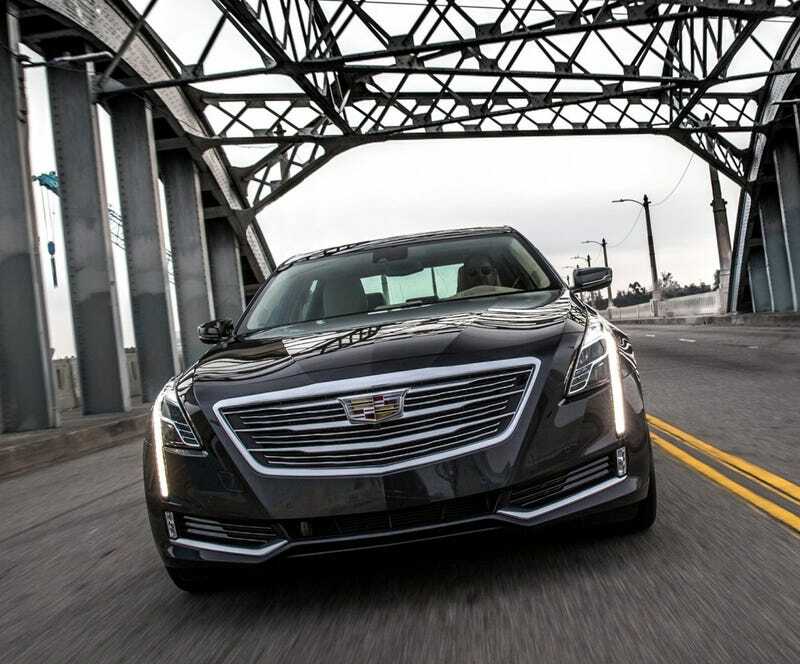 With GM consolidating their markets, the announcement of Buick going upmarket with Avenir, and the upcoming loss of Opel, it’s becoming apparent that GM believes Cadillac is moving up high enough for their middle line brands to move up as well. Thank goodness!! And with Chevrolet being the most competitive I’ve ever seen it be during my little life, I say to you that the GM turnaround is just hitting its stride. Keep working hard Cadillac and take on the position that Maserati has failed to hold on to as the 4-door Porsche competitor. No matter what they drive they’ll end up in a Caddy!